Merrilyn is the daughter of the well-established artist, Ngoia Pollard Napaltjarri. 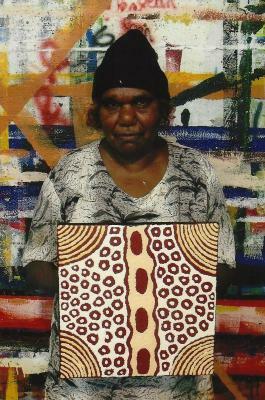 Ngoia was born in Haasts Bluff as the daughter of Angoona Nangala and Jim Tjungurrayi. She was brought up in Haasts Bluff and is married to Jack Tjampitjinpa Pollard. She had five children, one of whom is Merrilyn.